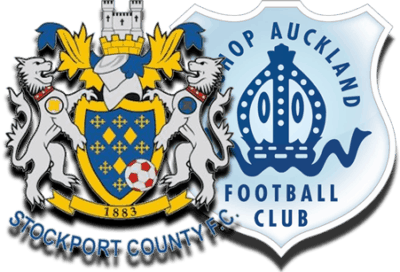 Bishop Auckland travel to Stockport on Saturday for our Emirates FA Cup match. This game is probably the biggest game we have been involved with for 17 years! The Club knows that there are a large number of supporters travelling to the game. We are sure this fantastic show of support will help spur the team on to a great performance – and hopefully a game in the 1st Round Proper!! We are proud of our community and family based support and we urge everyone attending the game to conduct themselves in the best possible manner to ensure that there is no inappropriate behaviour both inside and outside the ground. The Board of Directors is ultimately responsible for the conduct of the Club’s supporters at all our football matches and we have not had any instances of bad behaviour at games involving the Club for many years now and everyone who attending our last FA Cup game at Farsley Celtic witnessed our fans impeccable behaviour before, during and after the match. We are working with Stockport County and Greater Manchester Police to ensure that everyone attending the game is able to enjoy the game in a safe manner. So let’s all get behind the team in the proper way and make this a great day out for all the right reasons.